Isn’t it funny how much the world changes in such a short amount of time? Just ten years ago landing a job and climbing the corporate ladder was a sign that you had made it. But today the emphasis is put on becoming an entrepreneur more than ever. There’s just one little problem with this……… Nine out of ten new businesses will fail in the first five years. 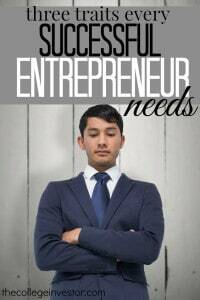 Entrepreneurship is something that is very rewarding but also tremendously difficult. But what if you could learn the traits you need to become a successful entrepreneur from someone who has actually proven himself in several different markets? I was recently able to read popular author of Rich Dad Poor Dad, Robert Kiyosaki’s new book. In his book 8 Lessons in Military Leadership for Entrepreneurs Kiyosaki lays out the ground rules for becoming a successful entrepreneur by teaching us the key traits he learned in Military School. This book was jam packed full of insights. Here are the traits I’ve implemented so far and why I think they’re important for entrepreneurs. It is absolutely impossible to build a business when you don’t have discipline. Starting a new business and catapulting it to success means you need to be consistent. You can’t be consistent when you’re lacking self-discipline. In the book Kiyosaki lists the four areas you need to work on to really develop your self-discipline as well as practical applications to do so. If you are a new entrepreneur you’re not going to get anywhere without first mastering self-discipline. There’s just too much disappointment in the first few months (or years) of starting a new project. You need to be able to make yourself keep going even when times really get tough. Every day new businesses pop up, new technology surfaces, and old marketing methods become obsolete. Businesses that stay in business are the ones that can easily adapt to new situations. In order to be successful you need speed. You can’t sit around and watch what everyone else is doing. Instead, you need to be the one to jump in and get started. Sure, you’ll make mistakes along the way but making mistakes is how you learn. If you’re going to fail at something you need to do it as fast as you possibly can. This will keep you one step ahead of everyone else. It can be a hard pill to swallow if the thought of sales make you squeamish but businessman are salesman. If you’re not selling your product or service then you’re not going to make any money. Plan and simple. That doesn’t mean selling has to be a sleazy practice, though. Being a leader requires getting people to trust, respect, and like you. Those are all qualities of great salesman. 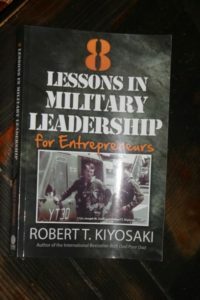 In his book 8 Lessons in Military Leadership for Entrepreneurs Robert Kiyosaki takes you back to his days at military school and walks you step by step through the lessons that helped him become a great leader and extremely successful businessman. I’d highly recommend this book to anyone who is looking to increase their income whether that be from a side hustle, small business, or even at your day job. I truly believe applying the lessons taught in this book will greatly benefit your income earning potential. To encourage you to check out the book, we’re giving away two copies of the book to lucky readers! Great tips here! Getting into entrepreneurship is a challenge, so knowing what skills you’ll need is a great step ahead. Thanks for sharing!